The most compelling reason to buy a PlayStation 4 is probably its killer line-up of exclusive games. Meanwhile, perhaps the most compelling reason to buy an Xbox One is its backward compatibility feature that allows you to play select Xbox 360 and original Xbox games on your Xbox One, a feature the PlayStation 4 does not offer. And as you would expect, the fact that the Xbox One is the only console on the market that offers backward compatibility has been driven home by Xbox marketing to death. And for good reason: it's a killer feature. But Microsoft hasn't just been talking, it's been walking the walk: habitually adding newly supported games. 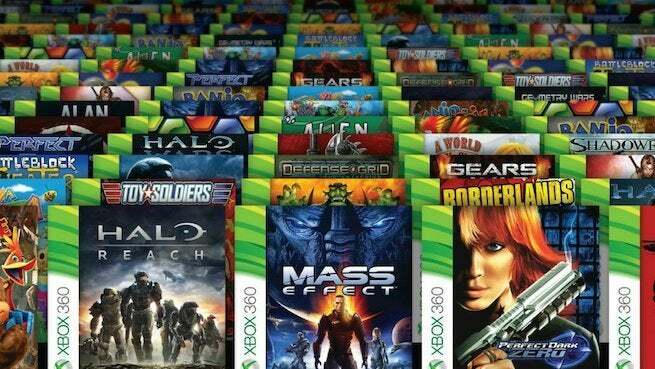 And so it should come as no surprise that just in 2018, Microsoft added over 100 new titles to backward compatibility, which brings the library to over 550 games, 57 of which are Xbox One X Enhanced. As you can see, Microsoft won't be announcing any new backward compatible games for the remainder of the year, but will be right back at come January. That said, Xbox players seem more than happy and thankful for what they already have. Amazing. Absolutely amazing. Just another reason why as a gamer, Xbox remains my platform of choice. Well done guys! As always feel free to leave a comment letting us know what you think. Has Xbox One done a good job with backward compatibility? Should PlayStation correct course and add it with the PlayStation 5? And lastly, what games that haven't been added yet would you like to see in the library?